Commission on Elections Chairman Sixto Brillantes, Jr. said Cebu’s 4th district would only be placed under Comelec control if there is actual violence. Brillantes said the situation should be grave enough to warrant the commission’s control. Mayor Junie Martinez said they only suggested that the entire district be placed under Comelec control with conditions after Salimbangon suggested that Bogo be placed under the commission’s control. ”Salimbangon wants only Bogo declared, so I said, ‘Why not the entire district?” Junie said. Comelec Provincial Supervisor Lionel Marco Castillano told Cebu Daily News last Friday that placing an area under Comelec control is considered a last resort. “It is the Comelec en banc who will make the decision and the creation of the special task force who will oversee the Comelec controlled area,” he said. THREE towns and one city in Cebu province towns are being closely monitored by government security agencies to prevent possible political violence. Although not yet considered election hotspots, the Joint Security and Peace Coordinating Conference (JPSCC) is taking a close watch especially in the fourth district in northern Cebu. The 4th district is hotly contested between the Martinez and Salimbangon political clans. Danao City is being hotly contested by the divided Durano clan. 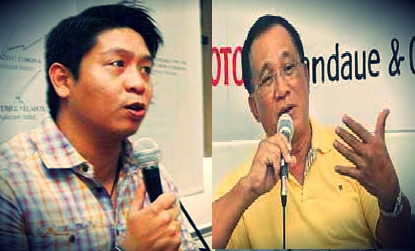 In 2013, Bogo City Mayor Celestino “Junie” Martinez, Jr. will again be challenged by Mariquita Salimbangon-Yeung. Cebu 4th district Rep. Benhur Salimbangon will again be challenged by Celestino “Tining” Martinez IV. Note: Content in this post is from Cebu Daily News.